Pretty impressed with the new Luminar from Skylum. While on the road, I rarely spend time editing my pics, I think this software will be a great travel companion that will help me process pics from my adventures in no time and share them with you guys. A great all-purpose photo editing program for Mac users. So user-friendly, you will learn how to use it in no time and see how easy it is to make an ordinary picture look extraordinary with the help of the built-in presets. Make sure you check out their great quick little tutorial videos. These will get you going and produce stunning results in no time. Download the free trial now and you will see how easy it is to learn and use. Convinced you will like it. 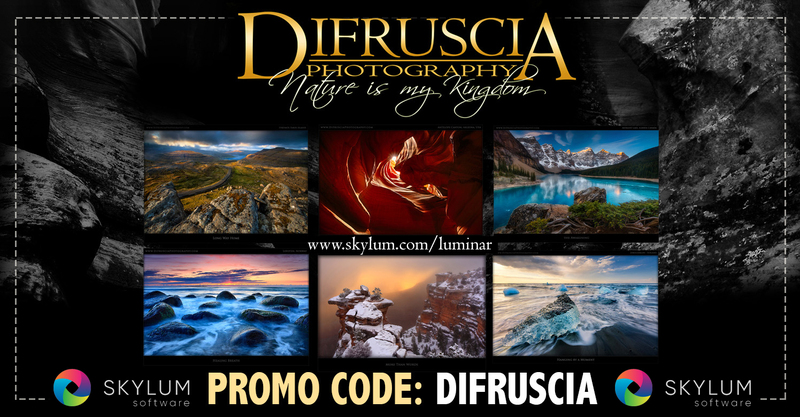 If you decide to purchase the full version, use the Promo Code: DIFRUSCIA for an extra 15% Off Skylum’s Luminar.